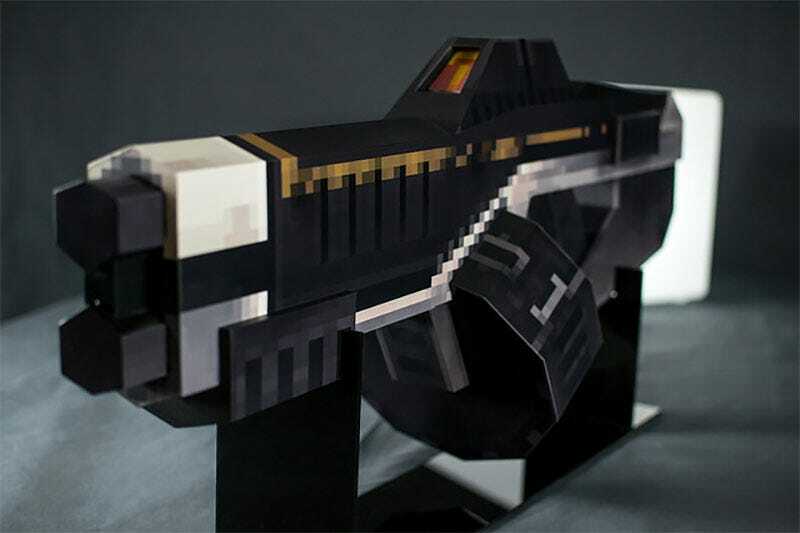 Pixel Titans, the developers of throwback shooter Strafe, commissioned Harrison Krix to build this replica of one of the game’s weapons for them to give to a fan. Below is the actual in-game model for comparison. There’s a full write-up and way more pics on Krix’s site if you want to get the details on how it was all put together.